Want a Challenge? Your Mountain is Calling! Find new Challenges and Mountains to Conquer in our new Aero Tech Designs Your Mountain is Calling Peloton Jersey. 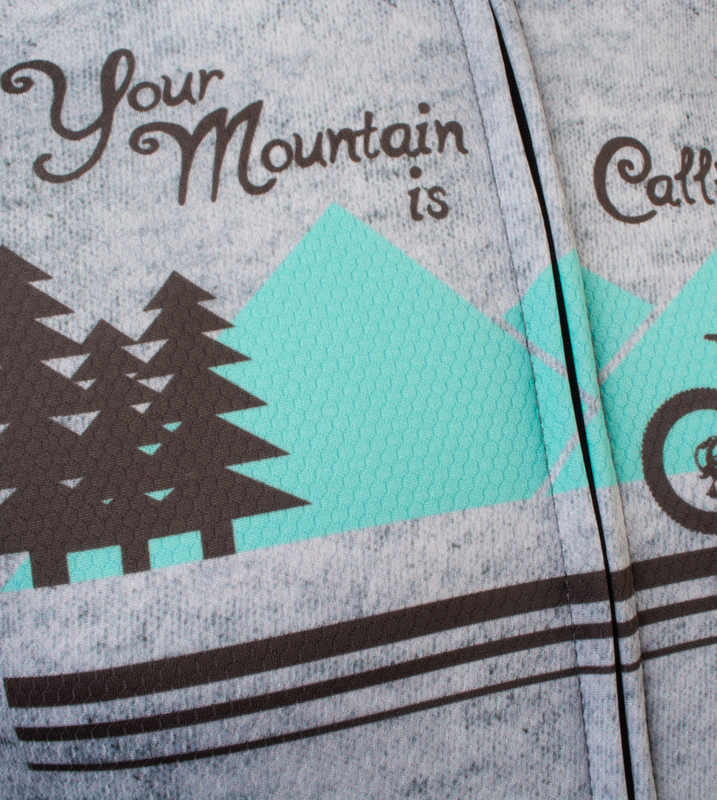 The Your Mountain is Calling jersey is created using state of the art printing and then hand sewn for a perfect fit. The jersey is printed so it has a textured look for a unique design. The base of the jersey is our high quality AeroCool Fabric that is a 100% polyester that protects again overheating and sun burn during those long rides. The jersey has 3 rear cargo pockets that can hold tires, banana, water bottles and more. The Jersey also has a a full separating zipper for easy on and off and a reflective tab for low light safety. Just like all of our other jerseys, the Your Mountain is Calling Jersey is designed, printed, cut, and assembled in the USA at our factory in Pittsburgh PA. Your Mountain is Calling, Will you answer the call?